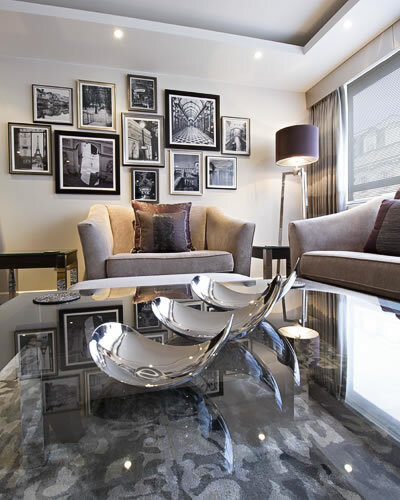 Complete Interior Design, Procurement and Project Management for a London apartment. 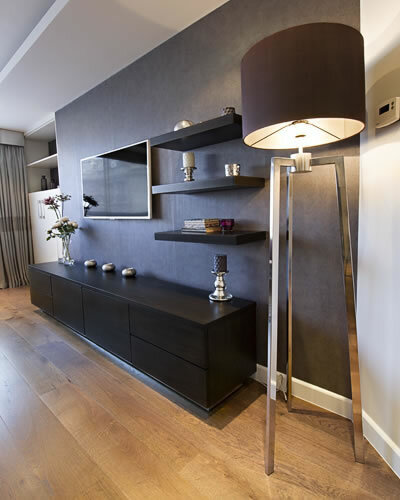 The brief was to create a modern, glamorous & luxurious weekday home for my client, using a contemporary colour scheme of taupe, aubergines and metallic accents. 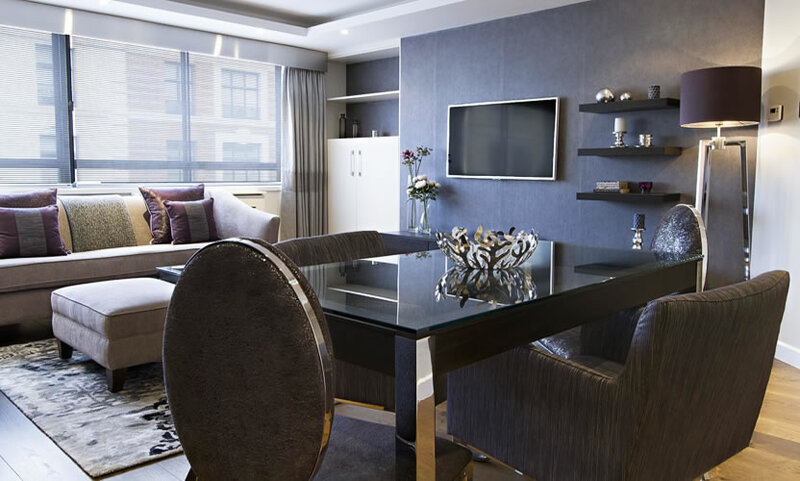 Elegant dark wood furniture with polished chrome legs accented by chrome framed dining chairs to add interest and a feeling of luxury were complimented with metallic aubergine fabrics and a softer taupe palette to ensure the space kept it’s warmth amidst all the metals. 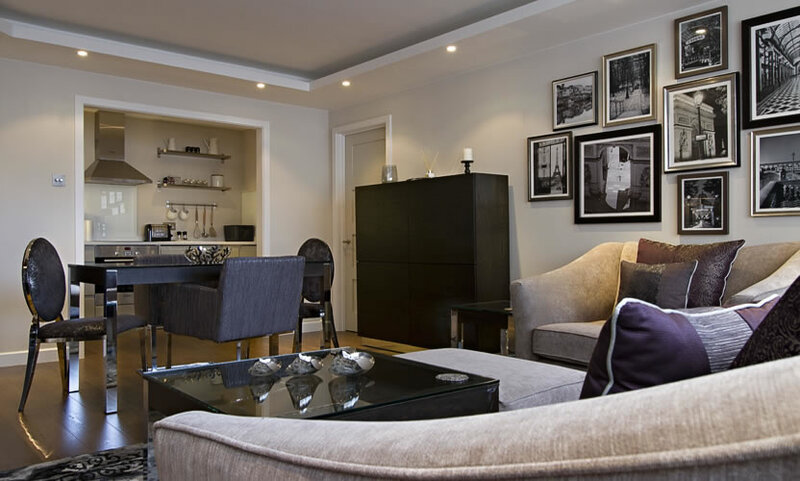 Creating a contemporary and luxurious home away from home.